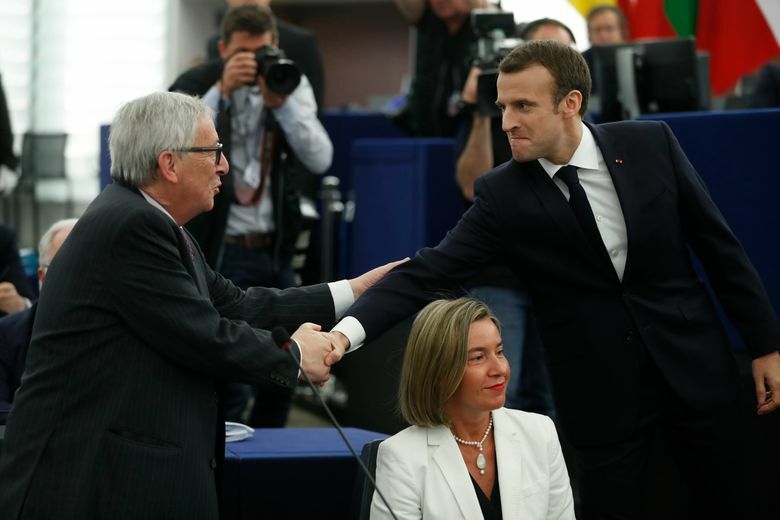 European Commission President Jean-Claude Juncker said Macron’s rise to power in France has “given new hope” to the European Union. But Juncker stressed that the world’s biggest trading bloc isn’t a club led by France and Germany. “Europe is an ensemble,” even with Britain set to leave the EU next year, he said. 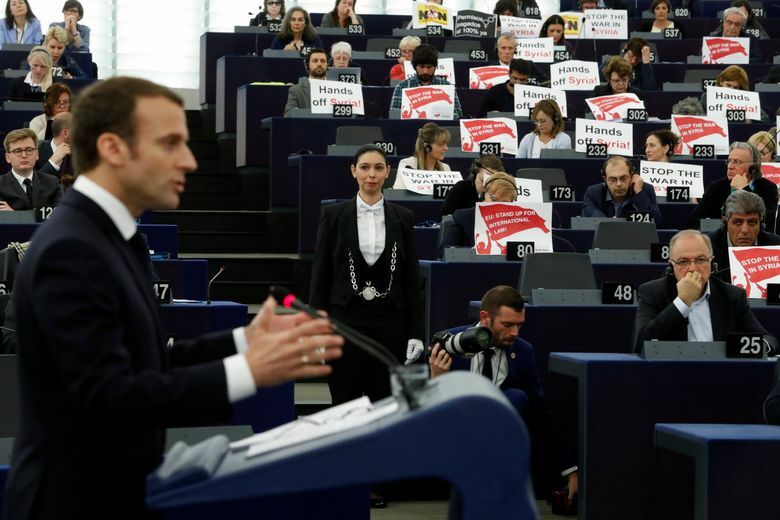 During Macron’s speech, some European lawmakers raised placards reading “Stop the war in Syria” and “Hands off Syria” to protest joint airstrikes Saturday by U.S., Britain and France on chemical weapons facilities in Syria. 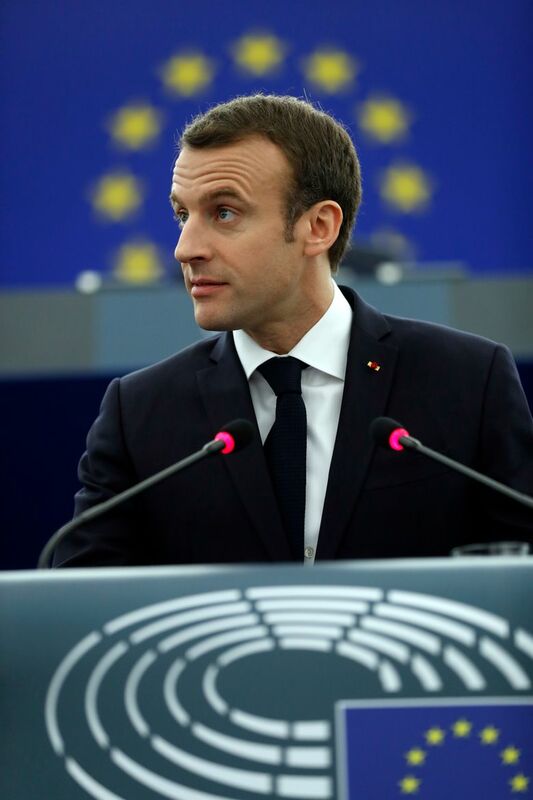 Macron said citizens “want a new project” for the EU that addresses their concerns and fears at a time when allies such as the U.S. are turning their backs on multilateral trade and climate change pacts. 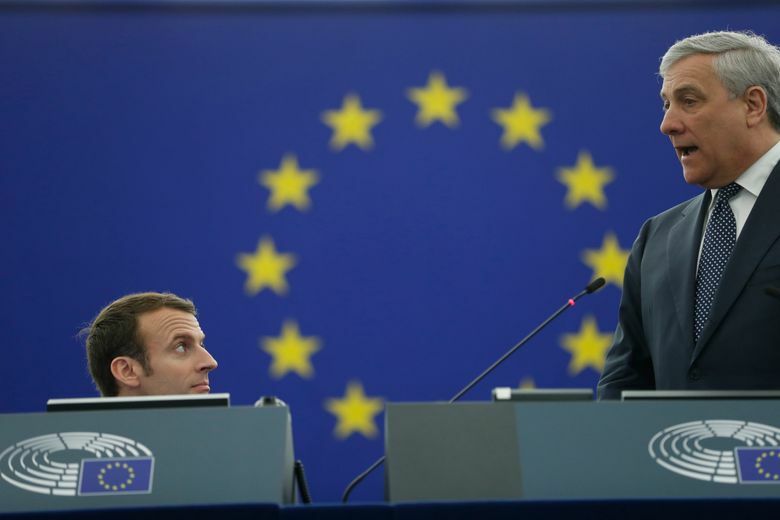 All EU countries, except Britain and Hungary, have agreed to seek the opinions of their citizens on the EU’s future through debates and online consultations by summer. 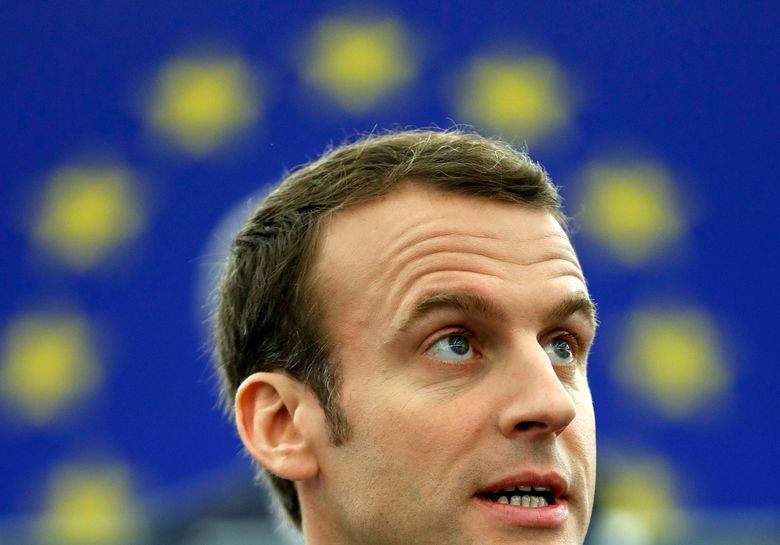 Macron called for an energetic campaign for the European Parliament election in May 2019, two months after Britain’s scheduled departure from the EU. However, he ruled out enlarging the EU until the existing members are more deeply integrated and the bloc has undergone reforms. He said now wasn’t the time to allow Western Balkans countries to join.